On Friday, you may have watched Tacko Fall, the 7-foot-6 center from Central Florida, for the first time. Fall put up 13 points, 18 rebounds and five blocks to help UCF, the No. 9 seed in the East region, move past No. 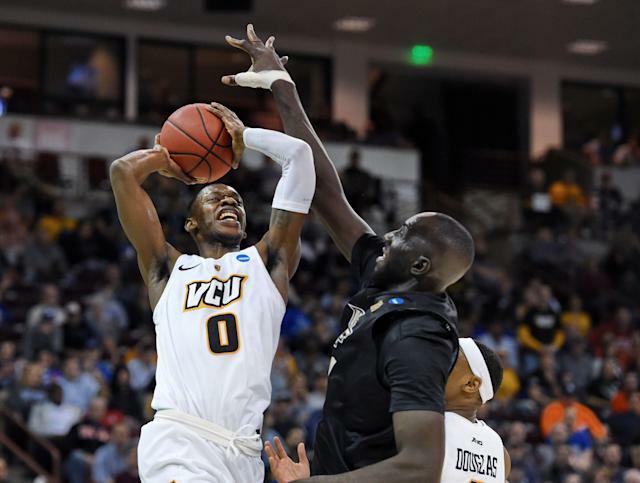 8 seed VCU and into the Round of 32 of the NCAA tournament. Next for the Knights is No. 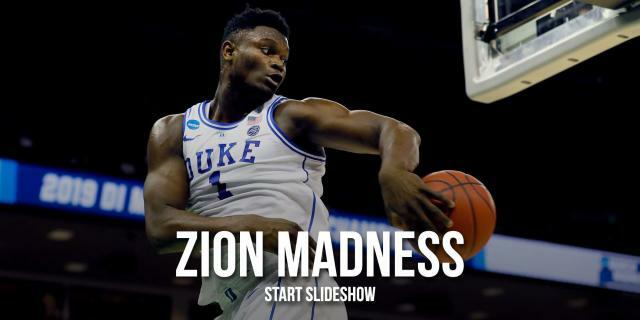 1 seed Duke, setting up one of the most unique one-on-one matchups in the tournament when Blue Devils phenom Zion Williamson meets Fall in the paint. Fall told NCAA.com that you shouldn’t expect to see him splashed across Williamson’s highlights. “It’s very hard (to dunk on me). I won’t allow it. I won’t allow him to put me on one of his highlight tapes,” Fall said. Fall, the tallest player in college basketball, is a unique talent, but he knows Williamson — an elite athlete at 6-foot-7 and 285 pounds and the likely No. 1 NBA draft pick — is special. “Zion is a great talent. He’s someone we’ve never seen with his size, his athleticism and he’s so quick. It’s going to be a team defense. We’re all going to play our part,” Fall told NCAA.com. When Fall’s comment made its way to Williamson, he understood the big man’s point of view. Duke, after a slow start, dispatched No. 16 seed North Dakota State 85-62 on Friday night. Williamson, from his thunderous block in the opening minute, played his part. The freshman finished the night with 25 points, one shy of fellow freshman R.J. Barrett’s 26. There were plenty of highlights along the way. The mighty Bison did not present much resistance for Williamson and the Blue Devils, but Fall and the Knights may be a different story. There’s another level to the matchup beyond Fall vs. Williamson, too. UCF head coach Johnny Dawkins played for legendary Duke coach Mike Krzyzewski from 1982 to 1986. Sunday’s game is going to be a fun one.